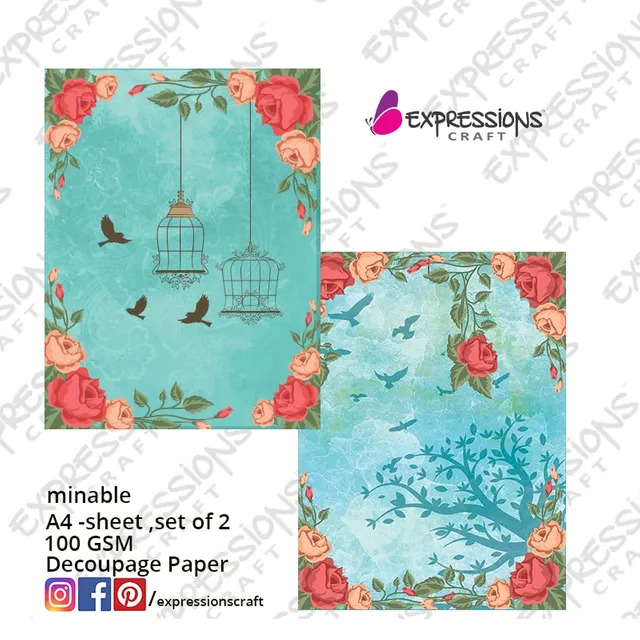 Decoupage Paper pertinently textured decoupage papers give wrinkle free, smooth decoupage on a surface. Apply an even coat of glue. When it is slightly dry, place the decoupage paper and press. Take a sponge/cloth and move it uniformly in one direction. This will eliminate any air bubbles. After it is conpletely dry apply a coat of varnish. For best results you may use Mod Podge as glue and varnish.